Be early for your road test schedule around 15 minutes early. You should know the address of your NYS road test beforehand, or have it in your GPS ready before you go to the site. Most driving test sites won’t have any buildings around, but there should be a couple of cars with signs on the roof lined up. Have all your paperwork ready and wait for the examiner to get to you. Don’t loiter around, you might interrupt other people who are taking their road test. A note to non-US citizens: you will not be able to take the road test if your visa is expired, even if you already have all the valid paperwork. Also remember that no monetary transaction should be conducted at the test site. Don’t forget to greet your examiner as soon as he comes over, and thank him after the test. 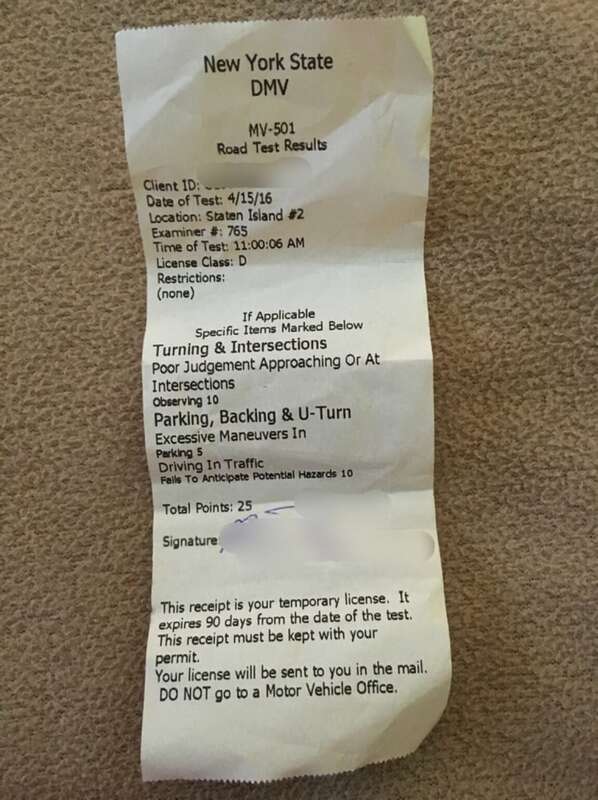 To get the exact address and a street view of your NY DMV road test, click on the link below.